May 26 - 27, 2018 Ojai Art in the Park 2018 in Libbey Park, Ojai, CA. Artwork available: Original acrylic paintings, original calligraphy, digital art in limited edition prints, open edition prints. Featured artwork: XOR Logic. Reception: 6-9 pm, Feb. 9, 2018 The Consilience of Art and Science 2018 at the Pence Gallery, Davis, CA. Opening Reception: 7-10 pm, Nov. 4, 2017 Running in Circles, Exploring Geometry in Contemporary Art at Rebecca Molayem Gallery & Studio, Los Angeles, CA. Oct. 21-22, 2017 The Beverly Hills artSHOW 2017 in Beverly Gardens Park, Beverly Hills, CA. Artwork available: Original acrylic paintings and limited edition prints. A selection of digital art in limited edition prints. Original calligraphy art on paper. Featured artwork: The Tomb of Bibi Jawindi. May 27-28, 2017 Ojai Art in the Park 2017 in Libbey Park, Ojai, CA. Artwork available: Original acrylic paintings, digital art in limited edition prints, open edition prints. Featured artwork: The Von Neumann Ordinals Series, Spotlight on Recursion. 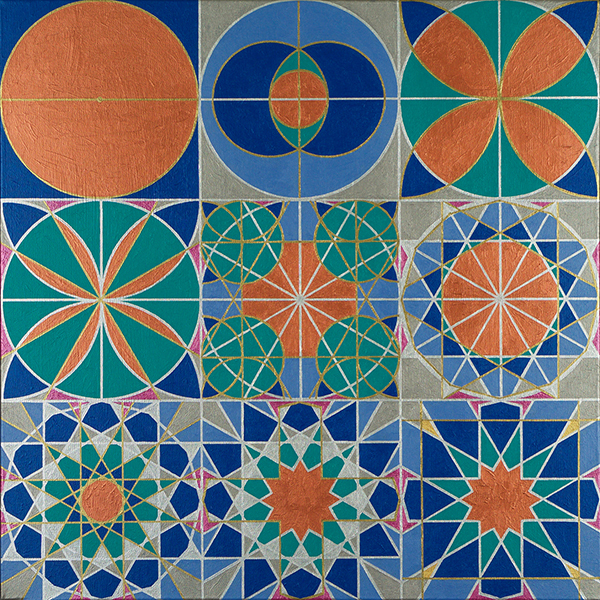 Sept. 17 - Nov. 13, 2016 5th Annual Juried International Exhibition of Contemporary Islamic Art at the Irving Arts Center, Irving, TX. Oct. 22, 2016 Pasadena ARTWalk 2016 in the Playhouse District of Pasadena, CA. Artwork available: Original acrylic paintings, digital art in limited edition prints, open edition prints. 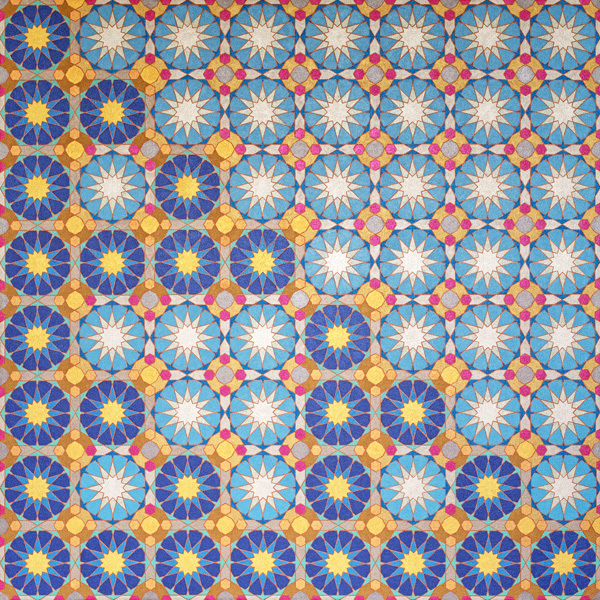 Featured artwork: Gilded Penrose, Jalal al Din Motif.